Cabral, C. & Sales, F.
The specimens in the Willkomm Herbarium are c. 150-180 years old. The paper used to mount the material, also the species and genus covers was acid and at present is seriously damaged. The methods for fixing plants and labels were also very imperfect and losses are recurrent. The restoration of this invaluable collection has been a must for some time. Prior to restoration proper, the original bundles of specimens were photographed from all angles for future documentation and reference; also, high quality images are being made of the specimens before and after the restoration procedure. 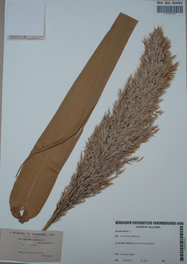 The 2180 specimens of Poaceae were totally remounted using museum-quality material: acid-free paper, conservation-grade glue and Japanese paper for repairing old labels and attaching them by hinges or straps. 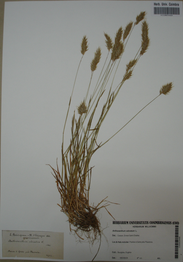 The family Poaceae was chosen because (i) it is a large family making worthwith the exercise, and (ii) its types have all already been studied and, as a result there is less need for future handling of the specimens. 1. Nomenclature updating. 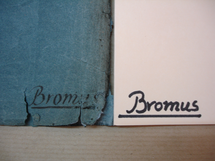 Original genus and species covers had the taxa names handwritten by H.M. Willkomm. All these names were checked and were corrected when misspelled (Brummitt, 1992; IPNI – www.ipni.org). When the species name could not be found, the original name written by Willkomm was kept written between “ ”. Also, author’s abbreviations were corrected according to the standardized author’s abbreviations (Brummitt & Powell, 1992). 2. Re-mounting. 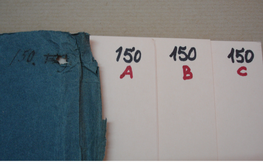 Prior to the restoration procedure, the pH of the old herbarium paper was tested. Even after such long period in the herbarium the paper remained acid. Therefore, it was decided to completely remove and remount the specimens in museum-quality acid-free paper. Specimen, capsule, original label and new printed label were all placed on the new mounting paper and the position studied before fixing. To maximize the preservation the re-mounted specimens were protected by polypropylene transparent covers. All specimens of the same species were covered with an acid-free species cover; all species of the same genus were included in an acid-free genus cover. The barcodes are printed using carbon transfer ribbons to maximize its durability. They were placed 0.5 cm from the margins at the upper right-hand corner. The new labels are printed in acid-free paper “old white” color. These labels are generated by SPECIFY from the databased information in the original labels; they have exactly the same information as the old labels plus a repeat of the barcode. They are placed 0.5 cm from the margins at the bottom right-hand corner. In this family the original labels were attached to the mounting paper by a thin metal pin, now rusted. This is gently removed with fine forceps to avoid additional damage. With a brush, a thin layer of glue is transferred to the original label and it is placed 0.5 cm from the margins at the at the bottom left-hand corner. When the original label is very large, it usually is folded in two. Also the label can be partially fixed only and lay over the plants. Some specimens have capsules. Then the plant material is transferred to acid-free capsules folded as shown. These capsules are glued 0.5 cm from the margins at the upper left-hand corner. Any other loose material is placed in this capsule. The specimens were fixed to the old mounting paper by narrow paper straps; these are removed with thin forceps and a scissor with thin ends. Some specimens hold some sand to the roots. After removing the specimens from the original mounting paper, the sand is carefully removed with a brush. Above newspaper, the specimen is turned, and the glue spread with brushes of different sizes. Press the plant against the mounting paper. The glue that overflows is removed with paper or paper swab. Any extra plant material is placed in the capsule at this stage. Each newly mounted specimen is laid on thick card board, and a sponge placed above it. On each, is placed a plastic bag containing beach sand. This presses uniformly the whole plant against the paper and promotes the complete adherence. The specimen remains in this position during one day to fully dry. Sewing is applied only to those specimens with heavy parts or long, flexible structures, all needing to be further fixed to the paper. With a sponge to protect the area, the specimens are sewn in strategic points. With the sewing needle, the mounting paper is previously perforated for orientation. The sewing needle should be inserted diagonally to increase fixation and avoid paper damage. The line should give one turn only and three knots on the back of the mounting paper. A small square of paper is glued to the knots to fixe them. Sometimes, after the sewing procedure, some parts of the specimen may need some retouch with glue. Then it is used a thin brush and needle or thin forceps. 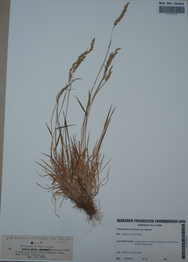 Frequently different specimens were originally mounted in the same herbarium sheet. 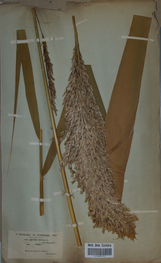 In such cases, each specimen was re-mounted in separate herbarium sheets. 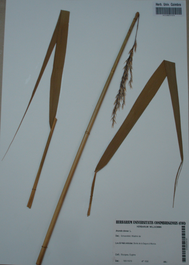 Large specimens originally mounted in the same herbarium sheet had to be split and re-mounted in separate herbarium sheets to accommodate them properly. After re-mounting, the volume of the material increased substantially. 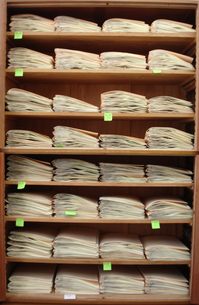 Originally the specimens were accommodated in ten bundles, each occupying totally a cubicle; now the old genus and species covers are kept still in the original cabinets, but empty. 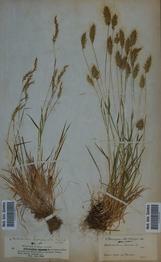 Large genera had to be accommodated in more than one genus cover and specimens split into as many covers as necessary. In such cases, “A”, “B”, “C”, etc, was written in red below the genus number on the top right corner of the cover. Genus, species names and numbers were handwritten on the new covers with waterproof and lightfast black and red pens (STAEDTLER permanent Lumocolor, thickness M), trying to keep the characteristic characters of the Willkomm’s handwriting.